Delicious Sausage Egg Hashbrown Breakfast Casserole Recipe with Sausage, Hash Browns, Cheese and a Homemade Gravy! 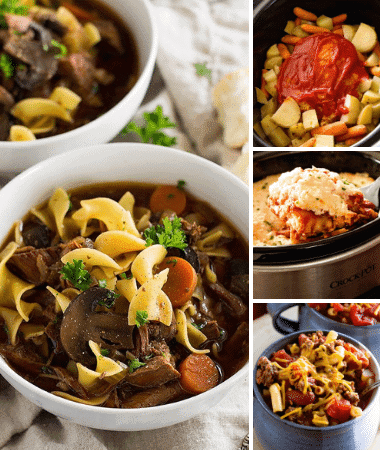 It’s perfect for entertaining guest over the holidays or spoiling your family. Plus, it is an overnight casserole so you won’t be rushed in the morning! 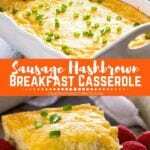 It’s the BEST sausage hash brown breakfast casserole! 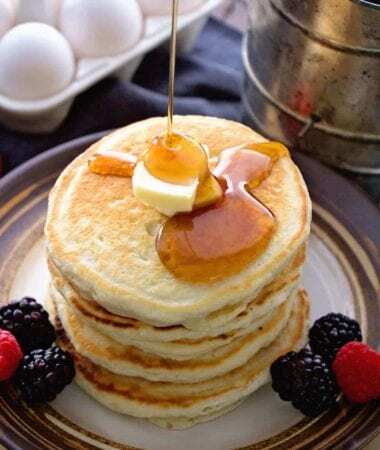 Do you hate getting up early on the weekends as much as me, yet feel like you should spoil your family with a homemade breakfast every once in a while? 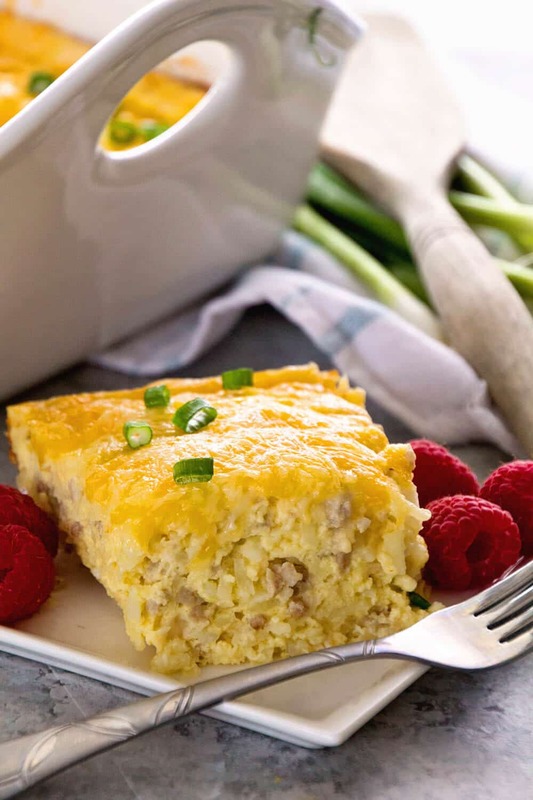 Enter Sausage & Cheese Hash Brown Breakfast Casserole to the rescue! This Overnight Breakfast Casserole is packed with sausage, cheese, hash browns and more. 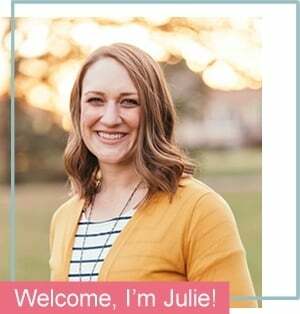 The entire family will love it as much as you do! You know why you are going to love it? It’s because you get to make it the night before then just pop it in the oven the next morning. Awesome isn’t it? A few of my other favorite overnight breakfast casserole are these Overnight Breakfast Enchiladas and this Biscuits and Gravy Overnight Breakfast Casserole! Or if you just love Biscuits and Gravy, here’s another recipe for you! You know what isn’t awesome? The fact that summer is coming to and end and it’s back to fall and the hustle bustle of the school year. Did you have a good Labor Day weekend? I know we sure did. It was our last summer weekend at our cabin and I’m am thoroughly and utterly depressed that we are done with summer per say. It was our first summer with the cabin and we sure enjoyed it and used it as much as possible. I think hubby and I got the most use out of it for sure as my mom kept telling me she felt like she was visiting “my cabin” when she would come up! In between soaking up the rays on the pontoon, playing with Miss K and reading I found time to make some food. Actually the best part of planning the weekend was coming up with what I was going to make up there. It gave me a chance to try out some recipes on a bigger crowd of people. Obviously I wasn’t going to slave over a hot stove while the lake was calling my name, so quick and easy was the main goal! This hashbrown breakfast casserole has a homemade gravy that takes a bit of extra time but it is so worth it you guys! This is hands down the best breakfast bake I’ve ever made! 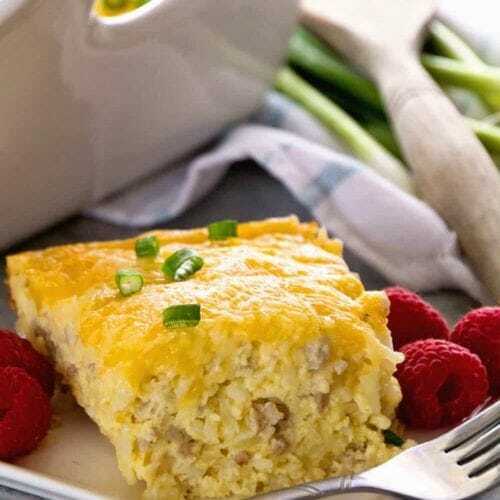 This sausage egg hash brown casserole is super easy and you can make it up the night before and then just pop it into the oven the next morning. We were usually up with Miss K first so I just put it in the oven and it was ready when every one got going that morning. 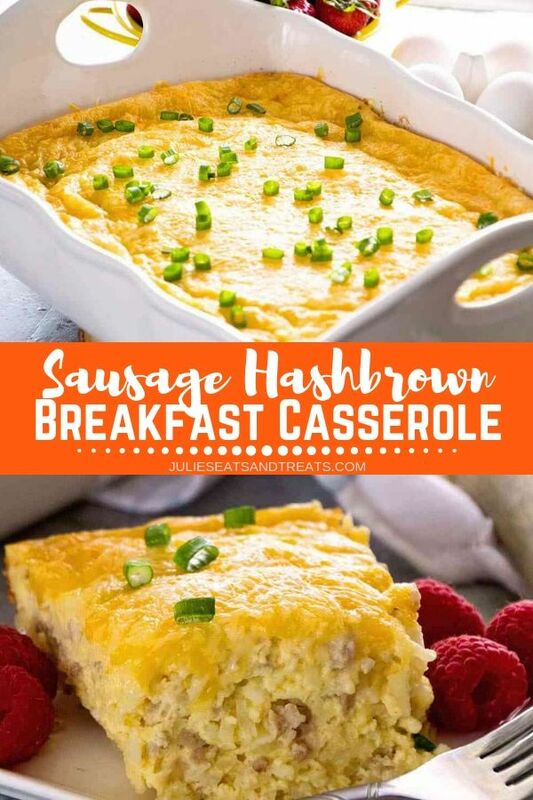 I love this breakfast bake because I am not a fan of the ones with bread and ham. 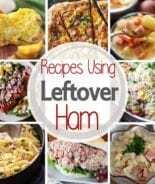 Of course if ham is your thing then by all means substitute ham for the sausage or bacon for that matter! As far as the bread goes, I just think it gets soggy and I am not a fan of soggy anything! Maybe I just haven’t tried the right breakfast casserole yet? 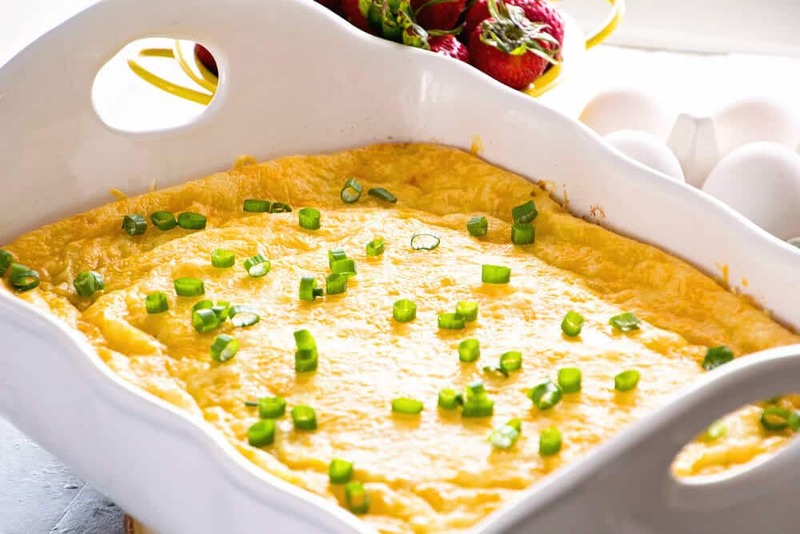 Ingredients Needed for Hashbrown Breakfast Casserole Recipe! 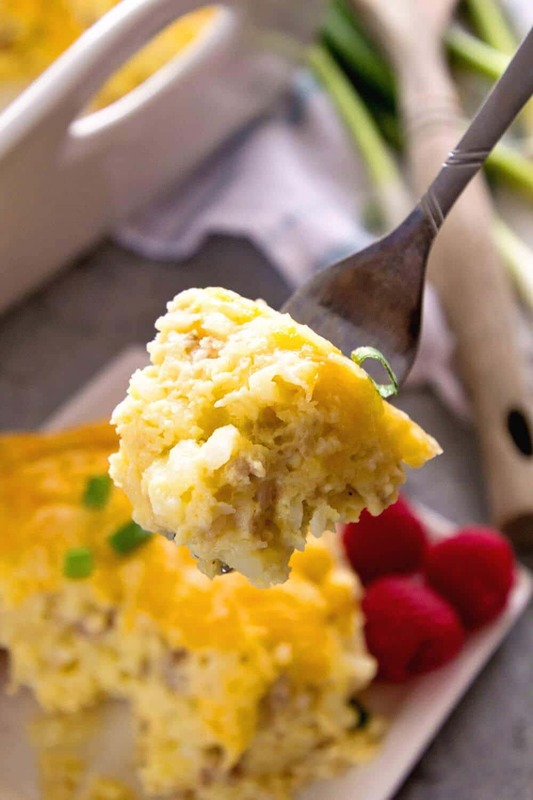 How do you make Hash Brown Breakfast Casserole? Lightly grease the casserole dish. Brown the ground sausage and onion over medium heat, until cooked through, drain. Add flour to the sausage. Continue cooking for 2 minutes, stirring constantly. Slowly add the milk and bring the mixture to a boil. Reduce the heat and let simmer until thickened, scraping any brown bits from the bottom of the pan. Remove from the heat and add the Frank’s hot sauce and half the cheese. Stir until melted and set aside to cool. Pour the mixture the casserole dish. Top with the remaining cheese. Bake 45-60 minutes. Let stand 5 minutes before serving. Tools Helpful for Making Hashbrown Breakfast Casserole! 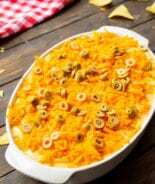 If you have company coming or are looking for a treat for a holiday or weekend this sausage egg hash brown casserole is calling your name! Delicious Sausage & Cheese Hash Brown Breakfast Casserole with Sausage, Hash Browns, Cheese and a Homemade Gravy! 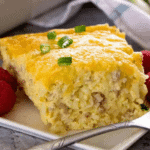 The BEST hashbrown breakfast casserole! 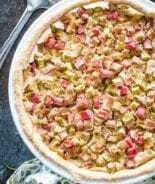 In a large skillet brown the ground sausage and onion over medium heat, until cooked through, drain. Add the flour to the sausage and continue cooking for 2 minutes, stirring constantly. Slowly add the milk and bring the mixture to a boil. Reduce the heat and let simmer for a minute or two until thickened, make sure to scrape any brown bits from the bottom of the pan. Remove from the heat and add the Frank’s hot sauce and 2 cups of the cheese. Stir until melted and set aside to cool for about 5 minutes. Add the hash browns, beaten eggs, salt and pepper. If your skillet is not big enough to add in the hash browns and eggs, transfer to a large bowl and mix well. Pour the mixture into a lightly greased 9 x 13 Pyrex dish. Top with the remaining 2 cups of cheese. Bake in a 350 degree oven for 45-60 minutes. Let stand 5 minutes before serving. You can also prep this casserole the night before and refrigerate overnight. Add an additional 15 minutes to cooking time if you do this! 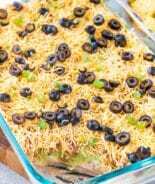 I’m always looking for way to make my morning faster and this looks like it would be a yummy casserole. 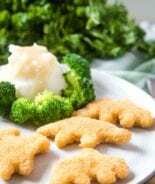 It’s one of our favorites and we love making it for dinner too! Think it would keep ok 2 nights before? I would think so but I’ve never tried it!